Antalya enters the “The 99 Most Popular Hotels Worldwide” with 4 Hotels | Do You Know Turkey | Turkish Tv Series & Drama, Turkish celebrities, travel information about Turkey and Turkish cusine. 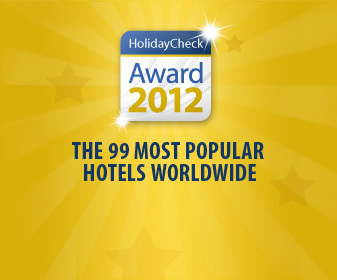 The hotel rewiev site Holidaycheck announced “The 99 Most Popular Hotels Worldwide“. The selection was made with the votes of the 530.000 travellers. The awards are based on the hotel reviews from 2011. Country’s No. 1, Beach Holiday, City Trip, Winter Sport, Countryside & Spa, Family and Couples. Antalya, the most popular tourism center of Turkey has entered the list with 4 great hotels. Those were the only four of the georgeus hotels in Antalya. Being a desired tourisim destination brings high quality in the accomodation services in Antalya. Also the competition between these great hotels provides great opportunities for travellers as great early reservation discounts, extra services and transportation assistaces etc. Finally, if you reaf the reviews for Antalya, you will figure that Antalya is a must go place for you.